Authors: Beldovskaya N.Y., Karpichenko S.A., Baranskaya S.V., Karpov A.A.
Introduction. Radioactive iodine therapy after thyroidectomy is the standard of differentiated thyroid cancer treatment in the modern world. Main dose-dependent side effects described in the literature include: sialadenitis, xerostomia, taste and/or odor loss, swelling of surrounding tissues. Ophthalmic complications are rarely reported. Aim. To assess the lacrimal system condition in patients after radioactive iodine therapy for thyroid cancer. Material and methods. The study included 17 patients (34 eyes). There were female patients aged 19 to 43 years (mean age was 31 years) who underwent a course of radioactive iodine therapy for thyroid cancer. All of them complained of periodic or constant tearing in the period from 2 months to 1 year after therapy course. In four patients, there was a permanent or periodic mucopurulent discharge when pressing on the lacrimal sac area. All patients underwent a standard ophthalmological examination, including visual acuity testing, anterior segment biomicroscopy, ophthalmoscopy, and tear production tests. Dye disappearance test, Jones I and II tests, lacrimal pathways irrigation, and, if necessary, cone-ray computer tomography with preliminary lacrimal pathways contrasting were performed to evaluate the tear outflow abnormalities. Results. Tear production disorders were detected in 20 eyes (58.8%) (among them, moderate dry eye syndrome was diagnosed in 3 cases); tear outflow pathology was revealed in 14 eyes (41.2%) (namely naso-lacrimal duct obstruction and stenosis, and chronic purulent dacryocystitis). For patients with tear production pathology artificial tears were prescribed, and endoscopic endonasal dacryocystorhinostomy was performed in cases of tear outflow disturbances. Conclusion. The use of radioactive iodine in doses exceeding 80 mCi leads to the development of lacrimal system pathology: dry eye syndrome of various severity, and tear outflow disorders. Lacrimal system pathology significantly worsens the patient's quality of life, and the prophylaxis of these diseases before the radioactive iodine therapy course remains the imminent key problem. lacrimal pathways, tear outflow pathology, radioactive iodine therapy complications, endoscopic endonasal dacryocystorhinostomy, thyroid cancer, dry eye syndrome, dacryocystitis, nasolacrimal duct stenosis. The incidence of cancer has been steadily increasing. According to estimates of the Russian Oncology Association, over 500,000 new cancer cases were recorded in Russia in 2011; 54% of these cases were females. A similar situation is observed in most other countries . The incidence of thyroid cancer (TC) has significantly increased over the last decades. In 1975, the incidence of TC was 4.8 per 100,000 population, whereas by 2012, it reached 14.9 . In Russia, TC accounts for approximately 0.5%–3% of all cancer cases . Radioactive iodine therapy is currently considered to be the standard treatment for differentiated TC . Adequate therapy with radioactive iodine (I-131) after thyroidectomy significantly reduces the rate of local recurrence, distant metastases, and mortality in patients with differentiated thyroid carcinoma . Radioactive iodine therapy is usually well tolerated by patients; however, it is effective only for highly differentiated follicular or papillary carcinoma . Common dose-dependent side effects, described in the literature, include sialadenitis, xerostomia, loss of taste and/or smell, and edema in the surrounding tissues . Acquired stenosis or lacrimal drainage system (LDS) obstruction after radioactive iodine therapy is an extremely rare complication in patients with differentiated TC . In these cases, the mechanism of LDS obstruction is associated with the uptake of radioactive iodine (I-131) by the cells of the lacrimal sac columnar epithelium, nasolacrimal duct, and nasal mucosa via the sodium-iodine symporter (NIS). The sodium iodine symporter is a membrane glycoprotein involved in radiation-induced cell damage and subsequent inflammation and fibrosis. Clinical manifestations of this damage include excessive lacrimation, suppuration, stenosis, LDS obstruction, and dacryocystitis [4, 11]. Dacryocystorhinostomy is considered the main method of surgical treatment for these disorders. The aim of this study was to assess the condition of LDS in patients after radioactive iodine therapy for TC. 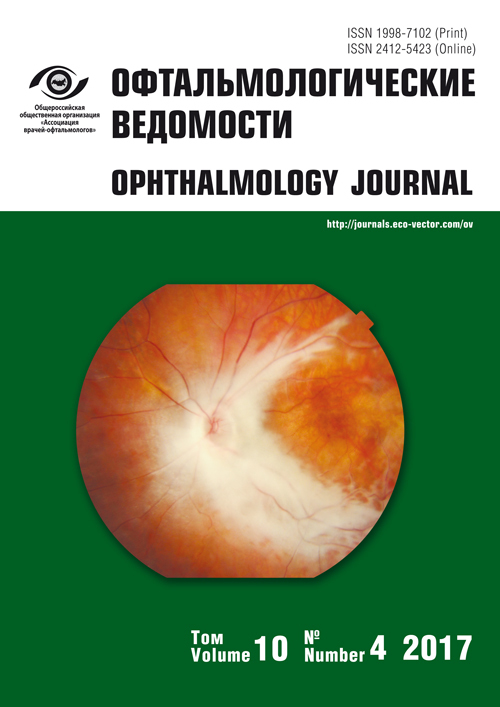 A total of 17 female patients (34 eyes) between 19 and 39 years of age (mean age 31 years) after a course of radioiodine therapy for stage II–III papillary (n = 15) or follicular (n = 2) TC were admitted to the Ophthalmology Clinic of the Pavlov First Saint Petersburg State Medical University between September 2013 and June 2017. All participants underwent a single course of radioactive iodine therapy with a cumulative dose of 80–100 mCi. Patients complained of excessive bilateral lacrimation of varying severity; 4 participants had a mucopurulent discharge when applying pressure on the lacrimal sac area (periodically or continuously). These clinical manifestations appeared 2–12 months after radioactive iodine therapy completion. Prior to TC treatment, patients had no ocular manifestations and no LDS disorders, although 3 participants had been wearing contact lenses for more 5 years and periodically used artificial tear eye drops. All patients underwent a standard ophthalmic examination that included visual acuity testing, biomicroscopy of the anterior segment, ophthalmoscopy, Schirmer’s I test, measurement of tear film break-up time (TBUT) test, and lid-parallel conjunctival folds (LIPCOF) grading. To diagnose LDS disorders, we performed Jones I test, fluorescein dye disappearance and regurgitation test, lacrimal syringing test, a consultation by an otorhinolaryngologist (with endoscopic rhinoscopy), and performed contrast-enhanced cone beam computed tomography of LDS (when required). After the examination, patients were divided into 3 groups — depending on the type of LDS disorder. Group 1 included six patients (12 eyes) diagnosed with mild dry eye syndrome (DES). Group 2 included eight patients (16 eyes) with mild (5 eyes) and moderate (3 eyes) unilateral DES and impaired lacrimation at the level of vertical portion of the LDS — nasolacrimal duct (none of the patients had pathological changes in the horizontal portion of the LDS) on the opposite side (8 eyes). Three patients were diagnosed with pronounced dacryostenosis, four patients had LDS obstruction, and one patient had chronic purulent dacryocystitis. Three patients (6 eyes) from Group 3 had bilateral lacrimal disorders: chronic purulent dacryocystitis (2 eyes), LDS obstruction (1 eye), and nasolacrimal duct stenosis (3 eyes). In all patients from Groups 2 and 3, LDS disorders were confirmed by contrast-enhanced cone beam computed tomography of LDS. Distribution of patients by study groups is shown in Table 1. Ten participants (three from Group 1, four from Group 2, and three from Group 3) were found to have dryness of the nasal mucosa. They received a recommendation to use Aqua Maris® nasal spray for at least 6 months in various dosages. Thus, impaired tear production was observed in 20 eyes (58.8%) and manifested as moderate DES (3 eyes) and impaired lacrimation (14 eyes, 41.2%). We have to mention that 3 patients diagnosed with moderate DES had been wearing contact lenses for more than 5 years. The mean duration of postoperative follow-up varied between 4 months and 3 years. Artificial tear eye drops were prescribed for all patients with DES from Groups 1 and 2. All patients with impaired lacrimation underwent endoscopic endonasal dacryocystorhinostomy (DCR) in the otorhinolaryngology clinic. Patients with moderate DES who did not respond to pharmacotherapy and eventually developed sialadenitis, underwent laser coagulation of the lacrimal ducts. The cumulative dose was 100 mCi. In patients with bilateral LDS lesions, endoscopic endonasal DCR was performed twice within one month. Lacrimal syringing test was used to monitor LDS recovery during the postoperative period. A complete release from excessive lacrimation was achieved in 30 eyes. An incomplete release (reduced lacrimation) was achieved in 4 eyes: in 2 patients (2 eyes) it manifested as a relapse of chronic suppurative dacryocystitis two months after endoscopic endonasal DCR (this was probably associated with a concomitant ocular disorder (glaucoma), which prevented us from administering an adequate course of anti-inflammatory therapy; in the remaining 2 cases (2 eyes) we revealed several commissures in the inferior lacrimal canal. Radioactive iodine therapy with a cumulative dose of 80–100 mCi may lead to lacrimal disorders, including DES of variable severity and impaired lacrimation. Lacrimal disorders significantly reduce quality of life and pose a threat to the eyeball. Wearing contact lenses can cause worsening of DES. A multidisciplinary approach to this problem involving radiologists, oncologists, ophthalmologists, and otorhinolaryngologists is crucial for the prevention and treatment of the disease. Endoscopic laser DCR is an effective treatment method for LDS obstruction in patients after radioactive iodine therapy for TC. Physician’s and patient’s awareness regarding this complication of radioiodine therapy will facilitate early diagnosis and preventive measures prior to treatment initiation, which should improve the patient`s quality of life. The authors declare no conflict of interest and no competing financial interest. Development of a research concept and study design — S.A. Karpischenko, N.Yu. Beldovskaya, A.A. Karpov, S.V. Baranskaya. Data collection and processing — A.A. Karpov, S.V. Baranskaya, N.Yu. Beldovskaya. Data analysis and drafting the manuscript — N.Yu. Beldovskaya, S.A. Karpischenko, S.V. Baranskaya, A.A. Karpov. Белдовская Н.Ю., Карпищенко С.А., Баранская С.В., Куликова О.А. К вопросу о неудачных исходах лазерной эндоназальной дакриоцисториностомии // Офтальмологические ведомости. – 2016. – Т. 9. – № 2. – С. 14–18. [Beldovskaya NYu, Karpishchenko CA, Baranskaya SV, Kulikova OA. About endonasal laser dacryocystorhinostomy unfavo rable outcomes. Ophthalmology Journal. 2016;9(2):14-18. (In Russ.)]. doi: 10.17816/OV9214-18. Karpischenko SA, Baranskaya SV. Our experience in intranasal laser endoscopic dacryocystorhinostomy. Folia Otorhinolaryngologiae et Pathologiae Respiratoriae. 2016;22(3): 32-35. Alexander C, Bader JB, Schaefer A, et al. Intermediate and long-term side effects of high-dose radioiodine therapy for thyroid carcinoma. J Nucl Med. 1998;39(9):1551-4. Al-Qahtani KH, Al Asiri M, Tunio MA, et al. Nasolacrimal duct obstruction following radioactive iodine 131 therapy in differentiated thyroid cancers: review of 19 cases. Clin Ophthalmol Auckl NZ. 2014;8:2479-2484. doi: 10.2147/OPTH.S71708. Fard-Esfahani A, Emami-Ardekani A, Fallahi B, et al. Adverse effects of radioactive iodine-131 treatment for differentiated thyroid carcinoma. Nucl Med Commun. 2014Aug;35(8):808-817. doi: 10.2147/OPTH.S71708. Fard-Esfahani A, Mirshekarpour H, Fallahi B, et al. The effect of high-dose radioiodine treatment on lacrimal gland function in patients with differentiated thyroid carcinoma. Clin Nucl Med. 2007;32(9):696-9. Kim J, Cho SG, Kang SR, et al. Preparation for radioactive iodine therapy is not a risk factor for the development of hyponatremia in thyroid cancer patients. Medicine (Baltimore). 2017Feb;96(5): e6004. doi: 10.1097/MD.0000000000006004. Patel SS, Goldfarb M. Well-differentiated thyroid carcinoma: the role of post-operative radioactive iodine administration. J Surg Oncol. 2013;107(6):665-672. Savage MW, Sobel RK, Hoffman HT, et al. Salivary gland dysfunction and nasolacrimal duct obstruction: stenotic changes following I-131 therapy. Ophthal Plast Reconstr Surg. 2015Jun;31(3): e50-52. Van Tassel SH, Segal KL, Hsu NM, et al. Endoscopic dacryocystorhinostomy following radioactive iodine thyroid ablation. Orbit. 2017Apr;36(2):59-63. doi: 10.1080/01676830.2017.1279653. Epub 2017 Feb 28. Copyright (c) 2017 Beldovskaya N.Y., Karpichenko S.A., Baranskaya S.V., Karpov A.A.